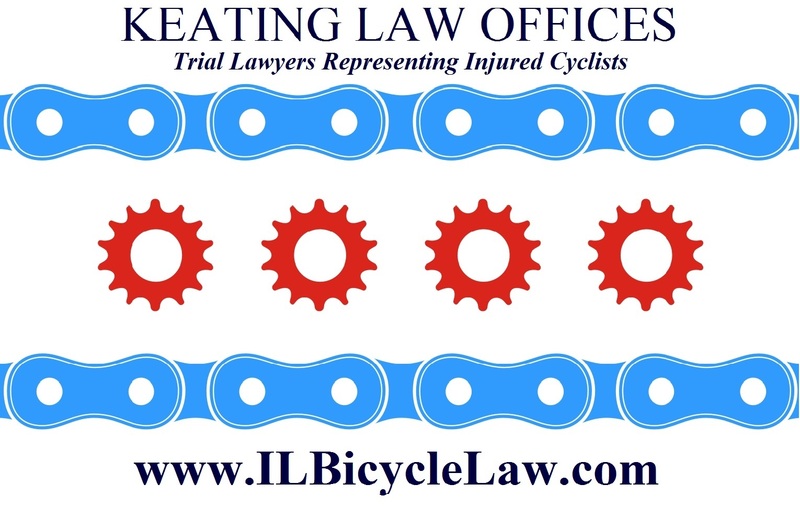 The Illinois Bicycle Lawyers have settled two separate claims for a Chicago bicyclist who was not once, but twice injured by negligent motorists within a year. In November of 2012, the bicyclist was injured when a motorist ran over his foot while he was standing on a street corner. In January of 2012 he was hit while walking his bicycle across a crosswalk. Both cases have now resolved favorably for the injured bicyclist who can get back to riding. In the first case, a driver making a right turn onto Foster Avenue from northbound Kedzie Avenue failed to yield to the bicyclist and struck him while he walked his bicycle across the crosswalk. The crash threw the bicyclist onto the pavement and he sustained serious injuries to his left foot, left knee and left leg. The bicyclist was taken to the hospital from the scene in an ambulance where he was treated and released. Still, the bicyclist had to use crutches for nearly two weeks after the crash and experienced pain for almost six weeks after the accident. The previous collision took place on January 22, 2012 when a driver turning left onto North Dearborn Street in Chicago struck the client while he was in the crosswalk. The driver ran over the pedestrian’s right foot and knocked him onto the hood of the vehicle. The pedestrian injured his right foot, knee and leg and required an ambulance and hospitalization. The driver in this case was issued multiple citations related to failing to yield to a pedestrian and failing to exercise due care when turning left. In addition, the driver was also issued a citation for using a cell phone while operating a motor vehicle. This case illustrates that, in spite of multiple statutes and public ad campaigns regarding the dangers of using a cell phone while driving, some motorists will still ignore these blatantly obvious dangers and put pedestrians and other motorists at risk. 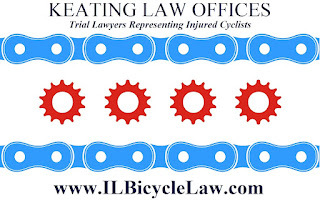 The Illinois Bicycle Lawyers understand that whether its runners, bicyclists or pedestrians enjoying a walk in the streets of Chicago, drivers who are potentially distracted from a cell phone pose significant and serious risks to anyone crossing the street.